Being a vegetarian does not mean you have to restrict either your diet or your holidays! You can enjoy life and pick the most colourful foods in the most exotic and fun locations around the world – and Australia is certainly one of the top must-see countries. 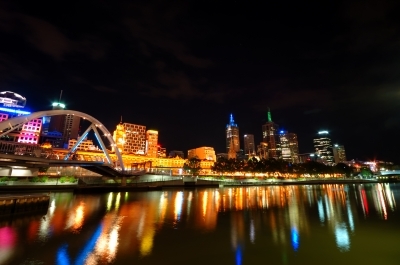 With so many great options, you are more than prepared to plan and book your flights to Melbourne now for a relaxing and stress-free vacation. Here is a list of the best vegetarian restaurants from Down Under to where you can enjoy delicious dishes in a typically Aussie atmosphere. The first stop on the list has to be the popular and multicultural Sydney, the city of all possibilities when it comes to food. Located in the heart of Newtown, Green Gourmet is a speciality vegetarian and vegan restaurant with a generous menu of Chinese and Malaysian inspired dishes, full of spice and flavour. Featuring a similar menu and a Pan-Asian cuisine, Bodhi InThe Park is another great location to enjoy meat-free goodies and experimental dishes like avocado salsa on soba noodles with tempura lychee, a true delight for the senses. If you are on a budget and really like good quality Indian cuisine, Woodlands Family Restaurant will not disappoint you with the large selection of tasteful curries, rich soups, pickles, sweets and fresh breads. The next stop on your list has to be the cool and upbeat Melbourne, which is slowly becoming the heaven of vegetarian food in its side of the world. Run by the popular Aussie chef Ben Shewry, Attica boasts an innovative menu that will not fail to surprise even the most sophisticated taste buds. Based on native Australian veggies and herbs, with an addition of sustainable seafood, Attica will delight you with an eight-course degustation of staple dishes such as potato bakes in its own earth. Another great vegetarian spot is the famous Shakahari, with a long 30-year tradition of creating amazing dishes inspired by a mix of Japanese, Chinese, Indian, Thai and Western cuisines, with delicious courses such as avocado and red capsicum tempura served in coriander sauce, or sago and quinoa pudding with walnuts for a surprising dessert. So relax and let your taste buds enjoy a great holiday in the sunny Australian land!